::a meal plan and online grocery shopping for this week–I did it! ::the discontinued kit still available! My spiritual father told me last week, “Go to Joseph.” So I’m seeking St. Joseph’s intercession. Quickly, as a side note, for those who are bothered by the fact that I am seeking St. Joseph’s intercession, think about that for a minute. Do you ask anyone to pray for you? Do you ask anyone to intercede for and with you? Do you even ask a departed mother, grandmother, father, sibling, etc. to pray for you or guide you from heaven? Same exact thing. Living and breathing through circumstances you never thought you would. It’s crushing and humbling. I’m listening to the dryer, the space heater here in the office, the little guys playing. I’m listening to God, my husband, and my spiritual father. I’m listening to the voice inside of me that reminds me I have to fight for my children because the enemy is fighting for them as well. I’m fighting for THE TRUTH and God will not fail me. Sunday I spent the afternoon reading and studying Proverbs 31 in my Inspire Catholic Journaling Bible. I’m finding that I have time for and enjoy verse mapping more right now instead of creative and artistic Bible journaling. The bathroom is finished! I am so happy with how it turned out! We also just bought a new living room set. Our old set in there was at least 10 years old. We moved it into the front room. The old, broken set that was in the front room was almost 16 years old! We swore we would always go with leather because it wears so well, but we loved a cloth set, so we went with it. Hopefully it wears well. Meal plan made and online grocery shopping done. The plan is to not go to the store this week at all. That is the plan! Also, Anna brought back some snacks from Costa Rica that we’re all going to try tonight. I’m not so sure about this??? Since the new year started and I switched Bibles from my One Year Catholic Bible, my daily, morning Bible reading has been inconsistent and lackluster at best. After a while of this, I notice I don’t function as well, or feel as well. My mind is a little more scattered, agitated, confused, restless, etc. This weekend I made the time to spend in my Bible, or Bibles since it was a combination of the two. 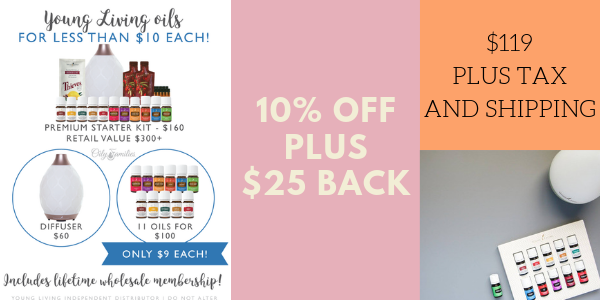 Not only has using essential oils helped me with mood and emotions, my children with focus and emotions, and everyone with various muscles aches, but now Chris and allergies. He has such awful seasonal allergies! I had read about using Lavender, Lemon, and Peppermint to help ease the symptoms and possibly even prevent seasonal allergies so I mentioned it to Chris. I caught him at a weak moment, meaning his allergies were already bothering him and he was about to start using his prescription. He’s been using a roll-on bottle of LLP (Lavender, Lemon, Peppermint) and diffusing Raven or RC in our bedroom at night. We’re also going to start giving him capsules of LLP. He’s happy to report he hasn’t had to start his prescription medicine which he normally would have done already. Trust me, no one is any more surprised than him! Have you been keeping up with our Lent Devotional for Women? They are daily posts, fairly short, that guide us through the Lenten season. Happy Feast of the Annunciation! Tell me how you’re going to celebrate!! Mainly because I have no idea what we’re doing, lol! Meal planning and online grocery shopping baby! Going in the store is a BIG problem for me. I’ll run in for eggs, spend $50, and forget the eggs.